Running is one of the most popular leisure sports activities. Next to its beneficial health effects, negative side effects in terms of sports injuries should also be recognised. Given the limitations of the studies it appears that for the average recreational runner, who is steadily training and who participates in a long distance run every now and then, the overall yearly incidence rate for running injuries varies between 37 and 56%. Depending on the specificity of the group of runners concerned (competitive athletes; average recreational joggers; boys and girls) and on different circumstances these rates vary. If incidence is calculated according to exposure of running time the incidence reported in the literature varies from 2.5 to 12.1 injuries per 1000 hours of running. Most running injuries are lower extremity injuries, with a predominance for the knee. About 50 to 75% of all running injuries appear to be overuse injuries due to the constant repetition of the same movement. Recurrence of running injuries is reported in 20 to 70% of the cases. From the epidemiological studies it can be concluded that running injuries lead to a reduction of training or training cessation in about 30 to 90% of all injuries, about 20 to 70% of all injuries lead to medical consultation or medical treatment and 0 to 5% result in absence from work. Aetiological factors associated with running injuries include previous injury, lack of running experience, running to compete and excessive weekly running distance. 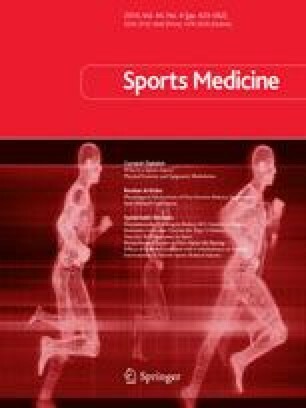 The association between running injuries and factors such as warm-up and stretching exercises, body height, malalignment, muscular imbalance, restricted range of motion, running frequency, level of performance, stability of running pattern, shoes and inshoe orthoses and running on 1 side of the road remains unclear or is backed by contradicting or scarce research findings. Significantly not associated with running injuries seem age, gender, body mass index, running hills, running on hard surfaces, participation in other sports, time of the year and time of the day. The prevention of sports injuries should focus on changes of behaviour by health education. Health education on running injuries should primarily focus on the importance of complete rehabilitation and the early recognition of symptoms of overuse, and on the provision of training guidelines.